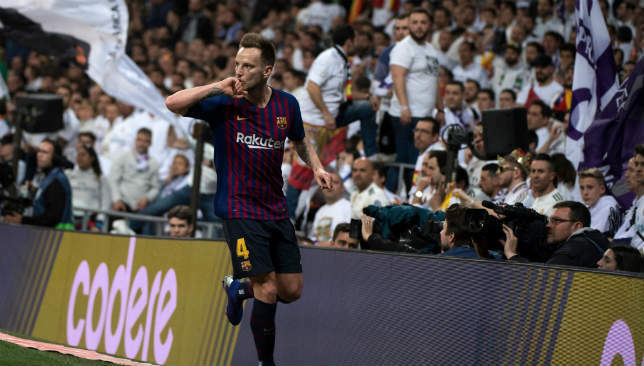 Calciomercato are reporting that Inter Milan scouted Barcelona midfielder Ivan Rakitic during Wednesday night’s Champions League clash against Manchester United. Rakitic has been linked with a summer exit as Barca look to revamp their midfield with an eye to the future. The 31-year-old is reportedly a target for United, who got an up-close look at the Croatia midfielder during Wednesday’s 1-0 loss, but Inter have been linked with both Rakitic and compatriot Luka Modric since last summer. Inter sporting director Piero Ausilio was at Old Trafford to watch Rakitic in action. Ausilio was also hoping to see United right-back Matteo Darmian, who is set to leave the Premier League club this summer. However, the Italian was left on the bench. An 11th-minute own goal from Luke Shaw condemned Manchester United to a 1-0 defeat against Barcelona in their first leg Champions League quarter-final tie. Luis Suarez’s header across goal from Lionel Messi‘s cross took a deflection off Shaw and wound up in the far corner as the Catalans took the lead at Old Trafford. Diogo Dalot missed a glorious opportunity in the first half but United failed to create much else. Barca seemed content with their solitary away goal as well, settling for the narrow win. Here, we analyse Ole Gunnar Solskjaer‘s tactical input. If Solskjaer was going for the element of surprise, he pulled it off not just by fielding a three-man defence but by playing Shaw on the left side of it. The Norwegian had the right idea with his 3-5-2 formation and as the game progressed, United seemed to grow into their set-up. Apart from a couple of shaky moments in the first half, the back-line was able to cope with Barca’s attack with the likes of Scott McTominay and Fred helping out from midfield. The hosts were able to keep their shape reasonably well while on the ball, they enjoyed a few good passages of play against the Catalans’ midfield. It was in the final third that they seemed to lack guile and composure to threaten the goal. Again, the set-up had a lot of good aspects. In midfield, Solskjaer managed to ensure that United were at least equal to Barcelona and that’s a feat in itself. The roles he deployed McTominay and Fred in paid off. The Brazilian’s defensive contributions were plenty as he made 15 recoveries in the game but – despite his faux pas against Wolves – was good at receiving the ball from the defence and helped initiate passages of play. McTominay on the other hand was completely undaunted by the occasion, arguably the most composed player on the pitch. It’s Paul Pogba who let Solskjaer down again, turning in another underwhelming performance. United boss’ team selection was definitely controversial. Playing Shaw at centre-back proved costly as he was at fault for the goal. A left-back by trade, he actually had a decent game otherwise but could’ve been far more effective at wing-back. Meanwhile, Diogo Dalot is much better on the right side and playing him there instead of Ashley Young as well would’ve given United two attacking wing-backs to offer more in the final third. Instead, Young was all over the shop with his delivery, attempting 11 crosses all of which failed to pick out a team-mate. Solskjaer had some good ideas and deserves credit for thinking outside the box. However, he might have been a little too clever playing Shaw at centre-back with Phil Jones available. That said, Shaw was better on the ball that Jones would’ve been so it was always going to be a balancing act. Ultimately, he was let down by his side’s lack of composure and quality in the final third. Two young bucks that Manchester United – reportedly – like the look of make the cut this week, while there are also young, bright-eyed representatives from Germany, Spain and France. The aim of this column is to shed light on the players, aged 21 or under across Europe’s top five leagues, who aspire to lead the game into a bold new era. The move would just make so much sense. Swap out a waning, aging, converted winger of a right-back in Ashley Young for a player more than 10 years his junior and at least 10 times the defender. Against – an admittedly goal-shy – Newcastle the 21-year-old was imperious, as he has been so many times during his first full Premier League season. 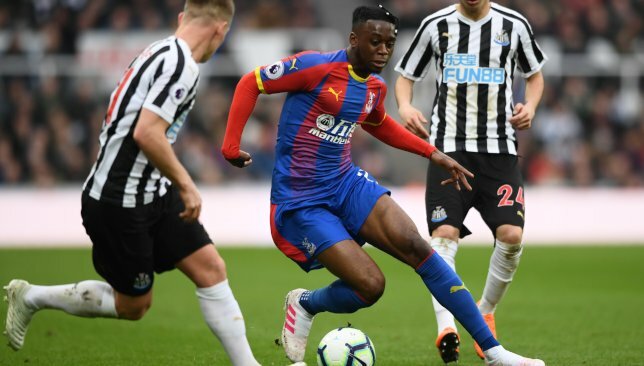 The Magpies’ record buy, Miguel Almiron, was forced to cut inside or drop deep down Wan-Bissaka’s flank on numerous occasions, with Palace under sustained pressure. There’s an air of mystery around the England hopeful’s attacking prowess – he has only provided two assists this campaign, and has never had a shot in anger in the EPL. 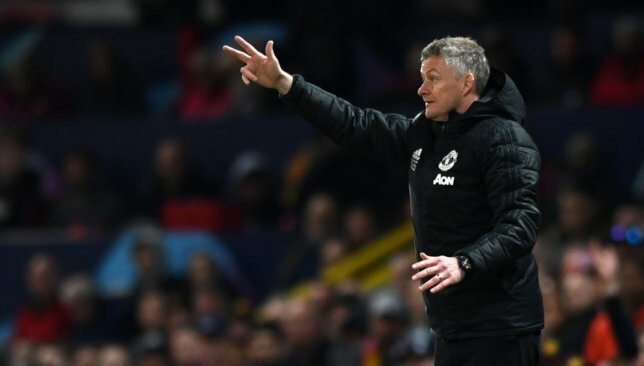 However, United’s defence is hardly water-tight, and his 115 tackles and 105 clearances this campaign alone in a bottom-half battling Palace side should be two of the key stats that matter for Ole Gunnar Solskjaer this summer. Youri Tielemans makes back-to-back appearance in Weekend Wonderkids and it’s easy to deduce why. While Huddersfield have been less Premier League and more Championship fodder for some time, the way Tielemans has been playing for the last two months, he has proven a match for any midfield in the division. His wicked curling effort – bamboozling Ben Hamer between the sticks – kicked off the 4-0 rout, but his impact in Leicester’s team goes far beyond mere strikes and assists. The 21-year-old’s calming presence in midfield opens up space for No10 James Maddison, only 22 himself, whose debut top-flight season has only got better since dovetailing with his Belgian team-mate. It’s hard to miss Jean-Philippe Mateta, even when he’s not scoring hat-tricks. Mainz’s record signing, arriving from Lyon in a deal last summer that could top out at €10m, is 6ft 4in of mostly muscle. The conversion from Ligue 2 striker to Bundesliga hotshot – he was on loan at Le Havre this year – has not been all smooth sailing, but he put on a clinic of clinical finishing against Freiburg. Mainz only had 29 per cent possession when all was said and done on Friday, but Freiburg’s defenders couldn’t cope with Mateta’s movement all the same. The Frenchman first rounded goalkeeper Alexander Schwolow before supplying two clinical close-range finishes. Now in double figures for the year and Mainz almost safe, this could be the confidence booster he needed. Soriano will set up camp on the bench again sooner rather than later, but Tomas Vaclik will be peering over his shoulder a little more frequently despite his fine season to date. The Czech stopper’s recent injury problems have supplied chances to the Andalusia-born Soriano, and the hometown boy produced arguably his finest performance yet in a match that Sevilla were lucky to escape with three points from. Relegation-battling Real Valladolid pelted Sevilla with all they had, particularly in the first half, and Soriano’s vigil between the sticks is a key reason why they remain just one point behind fourth-placed Getafe. The 21-year-old’s technique was a little, shall we say, unorthodox at times, electing to punch occasionally when the catch was there. But he made up for one instance with a fine save from a snapshot, and went on to improbably claw another strike from Ivi away from goal. An able understudy could soon become a La Liga fixture. The only piece of action you’ll have likely seen from this game is the one orchestrated by Hatem Ben Arfa, who despite pouring most of his talent down the drain, can still turn defenders’ legs into liquid on his day. But Rennes didn’t win – and one of the reasons why is down to a name who will likely only be familiar to Arsenal fans – Jeff Reine-Adelaide. The France Under-21 international made a few humdrum cup appearances for the Gunners before skulking off to Angers, but on Saturday the former Lens youth product showed why he earned a (brief) stay in London. After Ben Arfa’s outrageous solo show-off, Reine-Adelaide took centre stage. He showed he can shimmy, too, before unleashing from a narrow angle to level the score up. That was with his left. With his right, he then whipped in a delicious ball to serve up Stephane Bahoken with an easy header. Reine-Adelaide has similar gameplay/running style as Pogba. He'll blossom now he's getting games in midfield. Angers found themselves down again deep into injury-time but the midfielder stood up again. Confusion reigned from a set-piece but the 21-year-old anticipated the ball at the far post to nod home. He may not be as talented as Ben Arfa, but Reine-Adelaide would have half a chance of stardom if he found the consistency.